High end animation movie when it is at it's best! Good is fighting evil, that is fighting good turned bad that is fighting everyone. Confused? Don't worry. Amused? You will love this then. It is a funny plot which is both classic DreamWorks family adventure but also highly entertaining comedy and a few moral pointers. There are no actual surprises within the plot, and you pretty much know what is going to happen in the end. It is still funny though. Many famous actors are used for voices for the characters. This is quite amusing but also delivers a great result in this case. 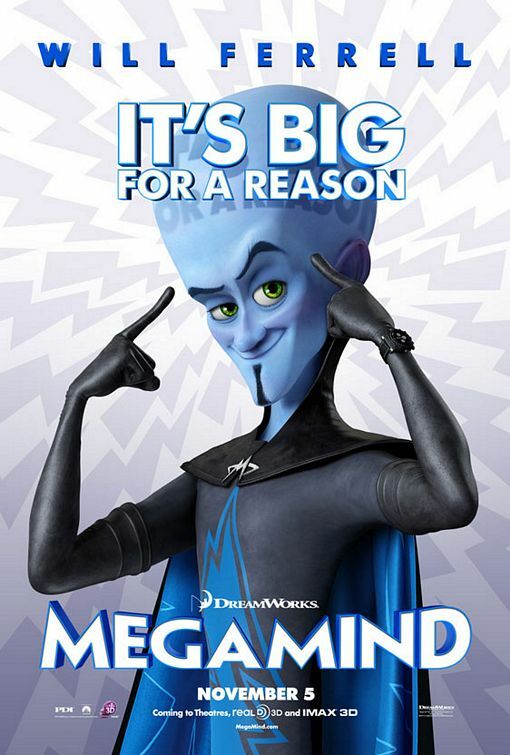 The normally silly and goofy Will Ferell impressed me as Megamind as he is both serious and yet subtle humours. The animation is quite basic, but I actually prefer it this way. Well done but without wasting too many resources on details that are not important. Watch this movie with your significant other, your family or by yourself. It is fun for all groups and still leaves (light) food for thought.